Proper insurance can take the sting out of most claims, but, if you experience a major loss, your prior agreements with other parties may hinder the recovery process or reveal gaps in insurance. Take, for instance, that commercial lease you quickly signed but never got around to actually reading. All leases are not standard and many contain clauses that obligate the lessee to strict and sometimes unreasonable demands from the Landlord. 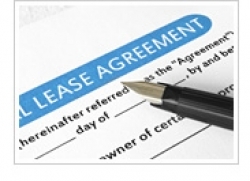 You are responsible for the space you rent and your responsibilities are contained in the lease agreements. Do you have to include the Landlord as additional insured under your insurance policy? If so, for what limits? Does the agreement specify that you have to replace plate glass, doors, outside siding, etc. that are associated with your space? Does your insurance include coverage for this? If you are the only tenant, don’t be surprised if you are instructed to insure the entire structure. The tenant usually has to insure that portion of the building occupied by the business. For example, if you rent 20% of the building and the building costs $500,000 to replace, the tenant (lessee) has to insure their space for $100,000 – just as if you owned it. This is called “fire legal liability” in the insurance world. Your liability policy will apply to the rest of the building if you are responsible for damage to it but will not pay for the space you occupy. The only way around this is to introduce a clause in the lease referred to as a “Waiver of Subrogation”. The waiver is an agreement between Landlord and tenant that each is responsible for their respective interests. It is a “quid pro quo” arrangement which may make fire legal coverage unnecessary (ask your attorney about this). Of critical importance is the procedure after a loss. Who pays for the reconstruction of tenant improvements? Is the lease terminated if restoration is not accomplished by a certain date? Does the Landlord have the right to approve every thing that is done in the settlement of your loss? Make sure you understand your obligation as lessee before you sign a lease. Have your attorney who specializes in lease negotiations look it over. Ask your insurance professional to comment on it also.